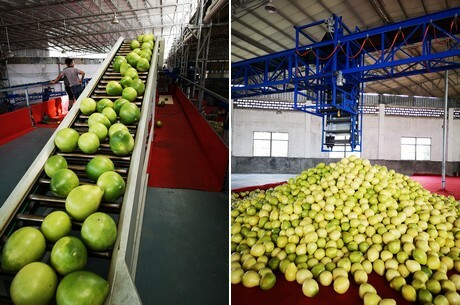 "The entire growing process of honey pomelos in China takes place in a natural environment, which means that it is easy for the fruit to suffer from various elements, in particular from extreme weather conditions. 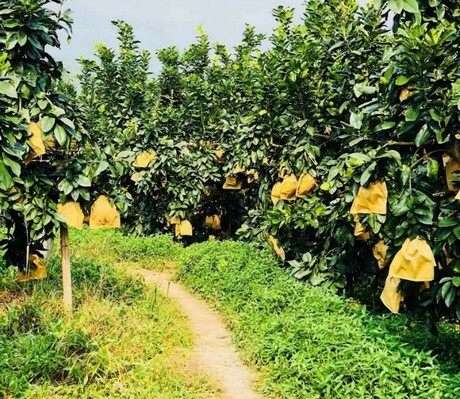 Pinghe County in Zhangzhou, one of the major pomelo production areas in China, benefited from excessive rainfall and abundant sunshine. These weather conditions encouraged the growth of honey pomelo and the majority turned into large-size honey pomelo. This had a major influence on the volume of honey pomelo exported to countries in Europe." 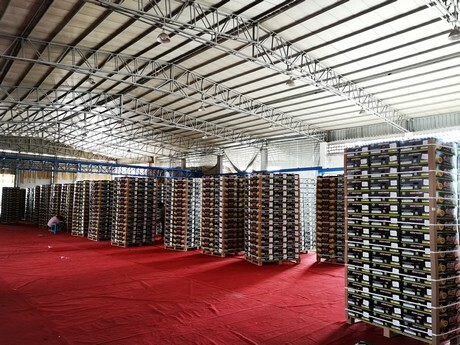 This is according to Edvin Wang of Xiamen Guanwei Import & Export Co., Ltd.
"It is nearly impossible to control the size of individual honey pomelos because so many external elements influence the growing process. We can make some estimates in the two months prior to harvesting season and distribute the fruits according to those estimates, but we have difficulty generating accurate data before the actual harvest begins. The variety of fruit sizes means that honey pomelos can not easily meet the requirements of a standardized market. Instead, we have to adjust our marketing and sales strategy each season." 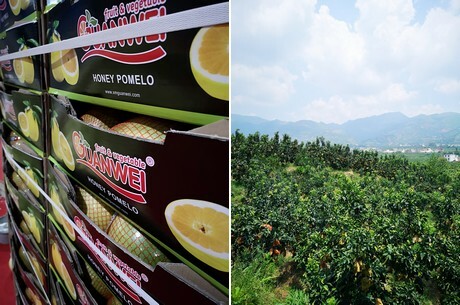 "We have around 53 hectares of honey pomelo plantations in Pinghe. 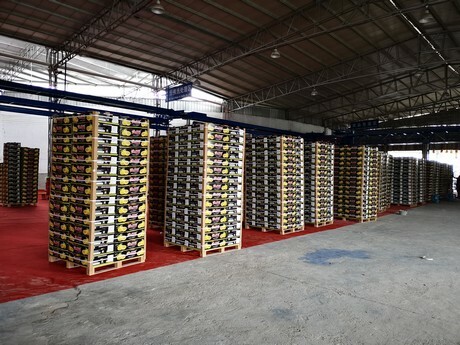 Our processing factory takes up around 4000 square meters. We control every segment of the operation from plantation through processing all the way to export trade. The export season recently concluded with our last shipment of honey pomelo on January 8th. As for our production conditions, the overall production volume is slightly bigger than last year. Chinese export is flourishing, but since European consumers prefer the smaller honey pomelo, and Chinese honey pomelo turned out relatively large this year, the overall volume of honey pomelo exported to Europe was much smaller this year. 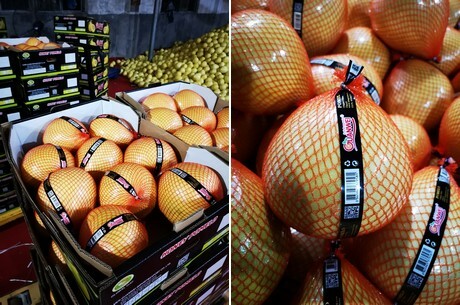 Some companies exported large honey pomelo to the Russian market, but their demand was limited too. In the end the overall export volume was much smaller than last year. We still managed to grow our export to Europe, despite the overall trend. We pay attention to the European market and our brand name 'Guanwei' has some recognition, which is why we were able to guarantee honey pomelo exports to Europe." "Another great change occurred in the production season that has recently finished. Chinese market demand also favored relatively small honey pomelo, which put a limit on the sales volume of large honey pomelo. Under these circumstances we had no choice but to leave a portion of the largest fruits on the trees. The purchase price of honey pomelo in production areas kept falling, as did the export price. These circumstances are far from ideal for us." "We mainly export our honey pomelo to Russia, Ukraine, Europe, Canada, and Dubai. Europe is our main overseas market. 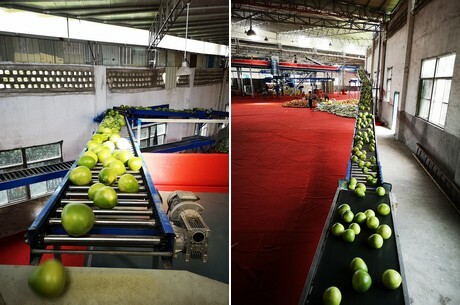 The Pinghe pomelo export market has been through 20 years of development and has established a structured supply chain. We are a company with Global GAP and GRASP certification. We specialize in plantation, production, and export. We will participate in Fruit Logistica in Berlin in February, and when that time comes we hope to meet you in person in hall 5.2 at booth C-13c." Company name: Xiamen Guanwei Import & Export Co., Ltd.